Kicks Online is a free-to-play soccer MMO (massively multi-player online) developed by Entermate, one of the emerging brands of Korean online games industry. The game was launched on the Korean market on July 2006 and now has more than 300,000 Registered users. 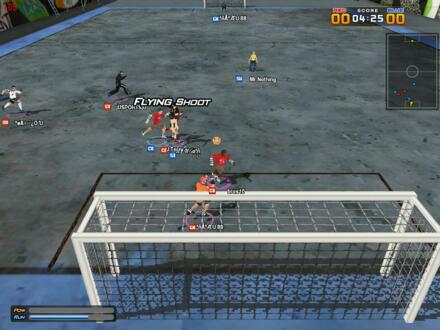 Kicks Online adopts street soccer modes and rules. Only through different tactics (such as various ways of passing ball and adjusting football surface harness) and strong teamwork players can win the match. More the player plays, more the character’s skills will improve. Matches can be conducted in 3vs3 or 4vs4 or 5vs5 mode and will be played in unconventional fields such as roofs, streets or factories. Kicks Online features cartoon style 3D scenes and outstanding render action.